Catching Fire, the sequel to last year&apos;s blockbuster The Hunger Games, opens November 22. Fans of the novels know that entering the world of the series means adopting a new vocabulary. If you go into the movie with no prep, it will still be amazing but you might feel a little lost. Whether Catching Fire will be your entrance into the franchise or you&apos;re the kind of fan who keeps their Hunger Games DVD on repeat, enjoy this crash course on the vocab of the series. Panem: The dystopian nation in which the games take place. Tribute: A combatant in the Hunger Games. Capitol: Seat of wealth, power, and excess in Panem. District: Name for states/territories within Panem. Each must send one male and one female tribute to the Hunger Games. Hunger Games: A televised fight to the death to punish the Districts for rebelling against the Capital. Quarter Quell: Held every 25 Hunger Games; produced on a larger scale than other years&apos; Games. Careers: Tributes trained for the Games by the richer Districts; training is technically illegal, but happens regardless. 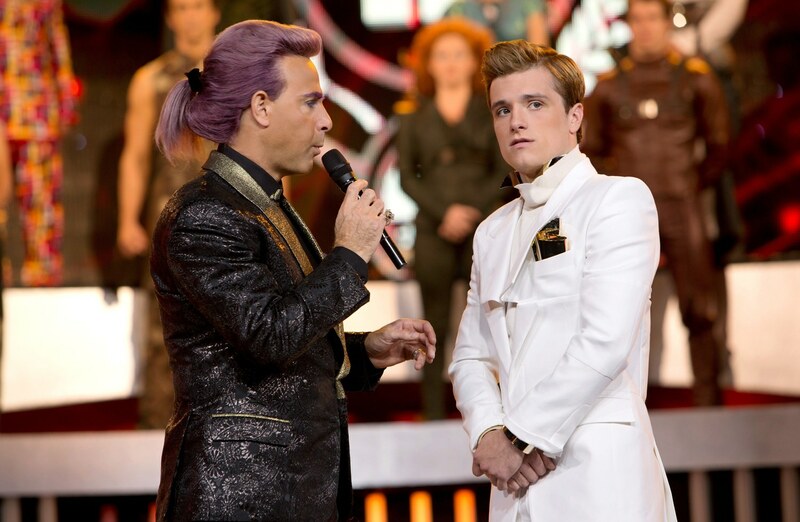 Reaping: Ceremony at which tributes for the Games are chosen from among the teenagers of each District. Mockingjay: (1) Bird species descended from mockingbirds that mated with jabberjays which can mimic tonal patterns. (2) Symbol of the mounting uprising against the Capital. Jabberjay: Species of bird genetically-engineered by the Capital to be spies which can memorize and repeat entire human conversations. Tracker jacker: Insects with stingers which carry venom that can cause hallucinations and death. Tesserae: Ration of oil and grain issued to teenagers in the Districts; each tesserae received equals an extra entry into the Reaping. Victor: Winner of the Hunger Games. May the odds be ever in your favor, everyone.